There are pros and cons to many of the types of materials used to side a house, and aluminum is no exception. Vinyl and aluminum are two most popular choices when it comes to siding, beating out wood, a former frequently used material on houses. Aluminum siding is a low-maintenance, rust and insect free option, but does come with many problems. There’s a reason that aluminum siding is waning in popularity. 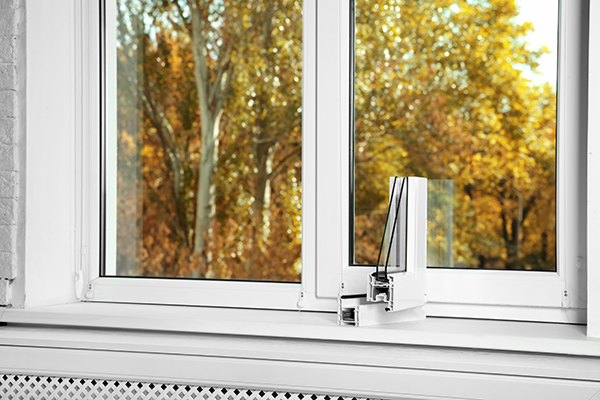 More and more homeowners choose vinyl as their go-to material for the exterior of their homes. Aluminum is more common with older homes, so when a homeowner doesn’t have the budget for new siding, there are easier fixes available for the most common problems with this material. What’s that rattling sound? No, you’re not crazy, that’s the sound of loose-fitting aluminum panels being blown around by the wind or the motion of passing traffic. This can even happen on a particularly hot day, when the metal expands in the heat. You can imagine that if the wind causes the siding to rattle, a storm is much worse. 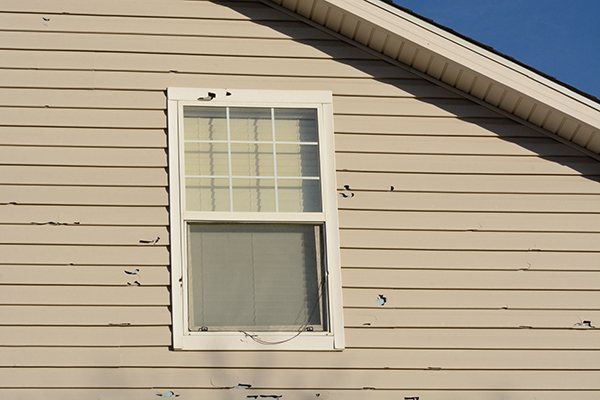 Rain and hail storms cause so much racket that many people avoid using aluminum siding. While you can’t stop all of the noise aluminum siding makes, you can check to see if there are any loose panels that are the culprit. Simply take these panels off and rehang them, but not too tightly fastened because they’ll need movement for thermal expansion during those sweltering hot days, which in turn will prevent buckling. Perhaps the most common issue plaguing houses with aluminum siding is denting. Denting can and will happen, whether it’s caused by a nasty hail storm, a missed catch of a football that’ll pummel against the side of a house or even just a loose stone sent flying against a panel from a passing car. Aluminum is a light, malleable metal. These are qualities that make this material ideal for installing and purchasing, but also cause it to quickly acquire dents, marks and occasional chipping. As with anything else, the cheaper the aluminum the more potential problems. 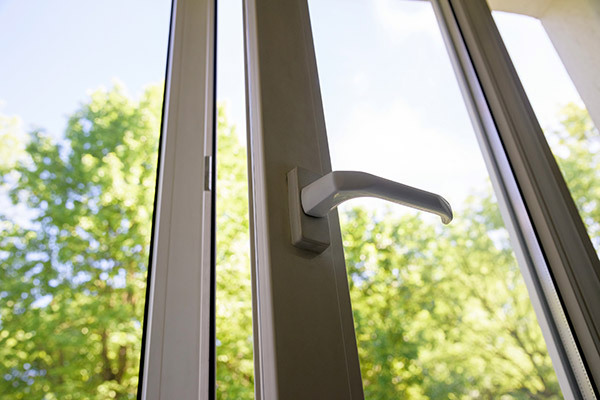 Inexpensive aluminum is .4” thick (also known as 40-gauge aluminum) and has a shorter lifetime than its 53-gauge counterpart due to its thinness. Unfortunately, the solution is also part of the problem. Scratches and dents are extremely obvious because the finishing color is similar to the baked-on enamel used on cars, oxidizing in the same way. Also, like a car, aluminum siding can be difficult to repair. You can do this yourself but it’s better to have a professional do the job. Since denting happens so frequently to this type of material, homeowners will often opt to only fix the larger, more noticeable dents in the siding. Denting, for homeowners, is about choosing their battles wisely. The repair process consists of drilling a hole in the dent and placing a sheet metal screw in the center. The screw is then carefully removed which will force the material to rid itself of the dent. A filler is then used to fill the hole, then with the help of a putty knife, the filler is smoothed out to ensure evenness. The patch is sanded down after the filler is completely dried. Finally, a high quality coat of metal primer is applied to the filled patch. Trying to match the original color of the aluminum siding may be the trickiest part of the repair. Aluminum fades in sunlight, so even if you do repair a dent or scratch on the siding, the new coat of paint you apply will most likely be a brighter version of what the rest of the house looks like. As mentioned above, aluminum’s coloring fades over time. 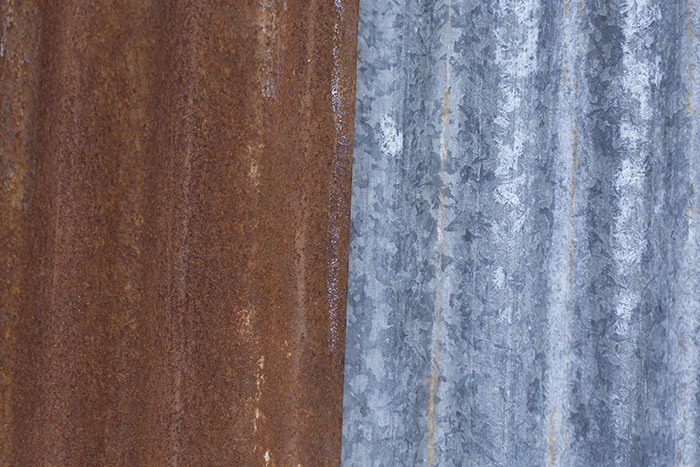 After years of being in the harsh elements, paint can completely wear off, leaving just the metal exposed. This is caused by the paint aging and losing its ability to bind to the metal. The pigment gets washed or wiped away, hence the chalky feeling to older houses with this siding. A preventative solution for this is to upkeep the siding in general. For most homes with aluminum siding, homeowners may need to repaint every 5 to 10 years. Power washing with a cleaning solution can help keep the aluminum clean and is also a good way to prep for repainting. It’s important to keep the surface clean before paint is applied, otherwise you’ll be painting over dirt and grime! Before vinyl was introduced as an option for exterior siding, aluminum was the most modern and popular choice on the market. Aluminum siding was in its prime in the 1940s through the 1970s and for many Americans, this type of siding was a way to cover up unappealing or deteriorating outer walls. Many older homes tend to have aluminum siding, and if the previous homeowner decided to employ the trend of covering up the unattractive exterior, your home may have damages hidden by the aluminum panels. The best-case scenario when deciding to get rid of your aluminum siding is discovering that all you need is a new paint job and maybe a couple new nails to replace any rusty ones. Although aluminum siding does an ok job protecting against water and insects, that doesn’t mean these problems didn’t occur before the siding was installed. 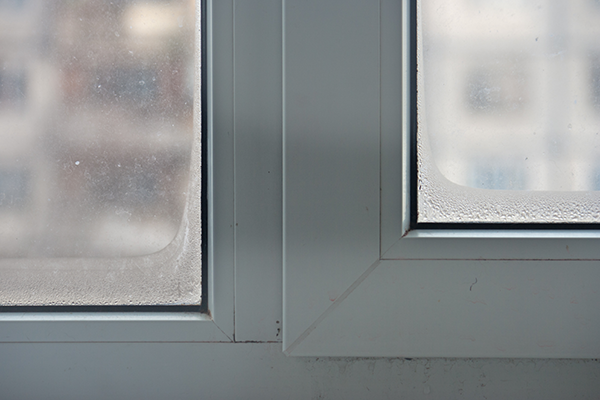 Damages could include termites, wood rot and mold, or water stains. These issues may seem overwhelming, but for cases such as wood rot, you can fix the damages yourself with some trusty epoxy. Hidden structural damages sound more terrifying than it is—most of the time a homeowner will be able to see aluminum panels not sitting properly against their house. If you’re still concerned, check in the drop ceilings to see if the wood is rotted, check out the roof line from a distance or look to see if you have any odd cracks in the walls. A certified home inspector can also spot structural damage. Is Aluminum Siding a Thing of the Past? The only way to avoid all of these problems with aluminum siding is to replace it and choose a different material. 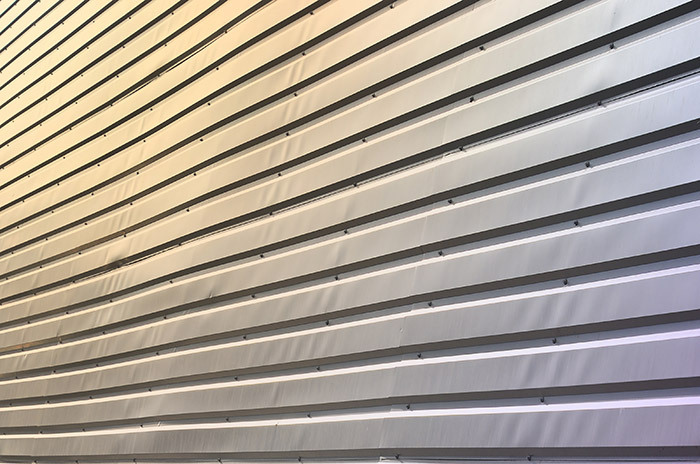 The popularity of aluminum siding declined in the 1970s when the energy crisis struck due this type of siding requiring a large portion of raw materials to produce. Homeowners moved on from aluminum siding, turning to more environmentally friendly and more attainable materials. Vinyl seems to be the best option of all of the available materials, providing all of the same positives and very little repercussions. It’s virtually maintenance-free with the exception of a cleaning every so often. Plus, it doesn’t fade, crack, warp or rot when exposed to harsh weather. For some homeowners, completely renovating the exterior of their house is just not in the forecast. As you now know, there are solutions to all of the most commonly experienced issues with aluminum siding, which can help get you by until it’s time to replace it. When the time has come to replace your old, worn out siding, you can trust Feldco to get the job done right and make your home beautiful and energy efficient. Our vinyl siding is ultra durable and will help you lower those monthly heating and cooling bills. Get a free quote online and join the over 350,000 homeowners who’ve counted on Feldco for their home improvement needs.